You’re here, so if I had to guess, I’ll bet you are getting close to pulling the trigger and getting started on your online business! Considering you are reading a post on a website named nowebexperience.com. 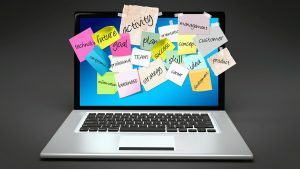 You are likely interested in building a website, and have no experience! Before this artcle has ended, you will learn some amazingly simple things, such as how to build a website in under 30 seconds for free ! I hope you have brainstormed and gotten an idea of the direction you want to go with your business. If not, you should have a brain dump on paper before starting. If you have already gotten an idea, you are likely ready to take the next step. Choosing the best business to start online is an easy one! Affiliate marketing is by far the easiest way to get started ! There is no postage and inventory to worry about and the setup isn’t as difficult as some ventures. Let’s talk about what is next! Having a plan is essential ! The old quote “Proper preparation prevents poor performance” is the slogan today ! That is known as the “5 Ps” for success and has been used as 6 Ps and many variations. But these 5 are most important! By now you have an idea what you want to do, and that is great! The process going forward is pretty cut and dry. But the preparation is totally unique to you! Affiliate marketing is all about the “niche” that you want to promote as a platform for your success. But many people pick a broad subject and they inherently have issues going forward. The niche you pick should be one that you are passionate about. A subject that is near and dear to your heart or at the very least something that you know something about. Now don’t get too upset here. You don’t have to be an English major or a professional in your niche! But you do need to research the niche and make quality and helpful content within your niche. That will make you an authority and someone who shares your niche will listen to and glean information. One of my websites is a hunting and fishing site. That is a broad niche, but I use it to promote content in micro niches within the website. Like instead of fishing, I will promote content on bass fishing, or cat fishing. 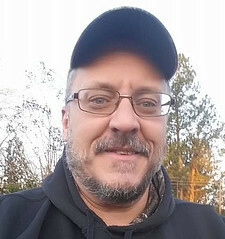 It is an experiment at this point and is going pretty well for a new site because most people who are into fishing are into many types of fishing and most of those hunt as well. Time will tell how well that site does. But being more specific and narrowing your niche down to a particular aspect is a proven method. Like instead of promoting a site about making the best ice cream, instead try a site that is more focused on making strawberry ice cream. This is your first and most important step. 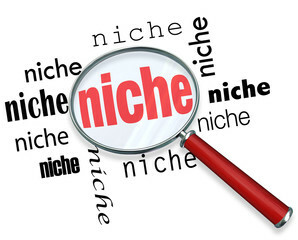 After your niche is chosen what comes next can be a web of confusion and expense if you don’t proceed carefully, and have the proper training! Many Google searches for help will reveal reviews and help that are sending you in a certain direction. .Bluehost.com is the choice for many. You can also pick a domain and set everything up right there, but there is a cost. You can get a website going for as little as $73 on bluehost, and that isn’t bad at all! But there are some things that can roll up an expensive snowball when using such a hosting service. Other needed options such as SSL certificates cost extra and with the extras you can quickly get website hosting expenses to well over $200 per month! 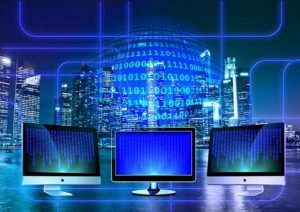 My Suggestion when you are thinking about starting your own website is to take a look at the hosting platform called SiteRubix! The prices are phenomenal! And if you get Site Rubix as part of the Wealthy Affiliate program, it’s included at no extra cost! For instance, when you want to do keyword research and you Google keyword research one of the sites you will be lead to is semrush.com. While Semrush.com is a fine tool for SEO and keyword research, it starts as a 7 day free trial, and then after 7 days they charge you $99.99. You can opt out if you want or if you remember. But You have to supply credit card info when you sign up so you better not forget You can also use Google adwords but again be careful with creating campaigns and such because it can become very expensive. Another option is Jaaxy.com . at only $14.99 per month and a very good tool. . More on Jaaxy later. .
Then there are theme services such as Thrive themes, Aweber, Thrive Leads, Etc, and if you aren’t careful you will have quite the investment right off the bat before you’ve even begun. These are all very good services and at the right time are very helpful. Just be careful in your direction when you are getting started. The first things first option is always the best for me . Within wordpress you can easily accomplish your goals. Add to that some copyright free images from WikamediaCommons.com, or pixabay.com and you can create a very nice site and do your upgrades as you go. In fact I would strongly suggest that you get your site built and online, and start adding content. You can go back and edit the content on posts as you go and go back to posts that are already up and add images and videos as you learn how and make good financial decisions as you start. Until your pages and posts start getting indexed and ranked in Google it won’t be a big deal to not have the “just right images”. Content is the key to start with. Choose low competition keywords and build out your site with content. It’s quite exciting ! The content and helpful nature mixed with keyword research is the most helpful thing, all else is growth that can occur as you go. 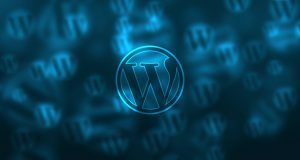 WordPress is designed in such a way that HTML code isn’t a need to know part of website design anymore. You can simply fill in fields, import photos much the same way you do within the Facebook platform and drag and drop. It’s pretty darn easy! Enjoy the ride, but learn as you go. The excitement of getting things rolling is awesome! Finally, getting the ball rolling on an online business is great ! You will and should enjoy the ride. But take notes and make it a learning venture too. There is a possibility that you will not get the results right off the bat and decide to start another site, or do great and want to add sites. If you have taken notes and taken part in the learning process as you go, it will make your business and future business easier and allow you to progress easier and quicker in the future . It’s your only life, make it great! While looking at the websites listed above it’s easy to tie up $300-$400 in starting a website. But it isn’t necessary. In fact I suggest that the people I talk with give Wealthy affiliate a try. It’s free to sign up and get a starter membership , with no credit card info. 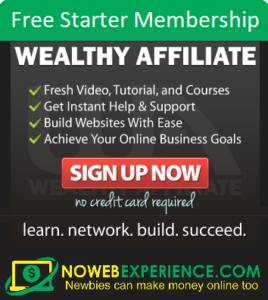 People like a young man named Jerry Huang are finding success at Wealthy Affiliate as we speak! The choices are many. And depending on your financial situation many are the correct choice. I hope you have enjoyed this post! The content here is geared to beginners and hope you do just that. Begin that is! Hopefully this has helped you on your way!If you have questions feel free to post them in the comments. In fact I welcome questions and comments.